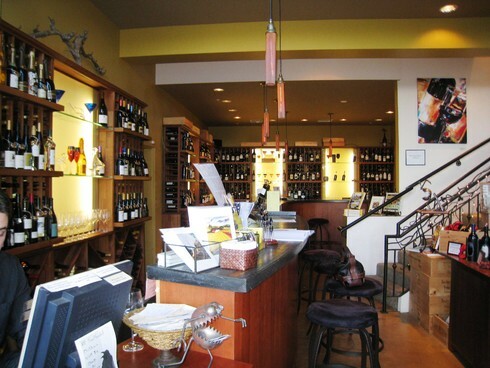 We recently enjoyed another wine discovery brought to us by Marcy Roth of Bacchus and Venus Wine Shop in Sausalito. This time it was 2002 Le Bizou from Falcor Winery in Napa Valley. This wine is a blend of 44% Merlot, 29% Cabernet Franc, 24% Cabernet Sauvignon and 3% Petit Verdot grapes. This wine is full of ripe blackberry fruit flavors balanced nicely with tannins and new oak. It also has hints of cedar and tobacco with a subtle earthiness. It has a long finish. I chose this wine to pair with our Braised Lamb Shanks but was worried that it would overpower the food. It did not at all – it was a lovely pairing. This wine sells for $40.00 per bottle and is available at www.bacchusandvenus.com .